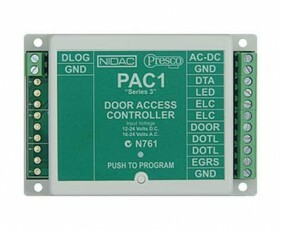 The PRESCO TM series of door controllers utilise a proprietary communication method between interface devices (keypads & readers) and the controllers that carry out the switching. This means that it is impossible to ‘hot-wire’ the system by fiddling with the wires, adding to the security of your premises. For Android devices click here. For Apple (iOS) devices click here. The PIM (Presco™ Interface Module) is used to convert commonly used access control data formats. 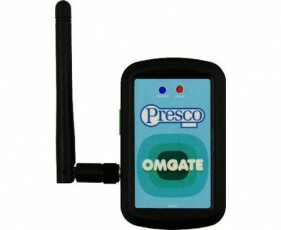 A Bluetooth-powered device, managed by a dedicated mobile app, for remote opening of doors & gates. The PAC (Presco™ Access Controller) Door Controllers utilise microprocessor technology to operate an electric locking device.Together with a Presco™ encoder, the PAC offers affordable access control to restricted areas for up to 400 users. The Presco™ Event Logger makes programming multiple Presco™ door access controllers a breeze, providing a user friendly platform for access control with full upload/download capabilities directly from your PC. 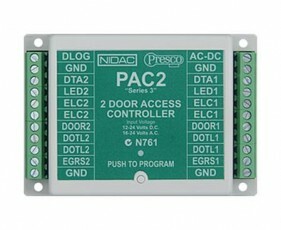 The Presco™ PACDL (Presco™ Access Control Data Logger) offers an affordable access control package for up to 8 access points when used with the PAC1 & PAC2 series door access controllers. 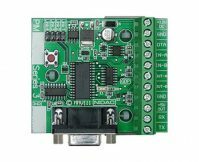 The Data Logger provides a user friendly platform for access control with the option of printing data continuously or storing it on your PC. Maximum security is provided with 3 different operator levels for programming, editing user details or simply viewing events. 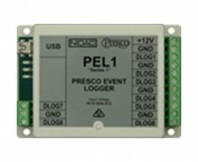 As an additional security feature when an event is logged it is locked into memory and cannot be manipulated. The backlit LCD makes for easy programming. The time, date, user names and access codes can all be entered quickly and effortlessly. 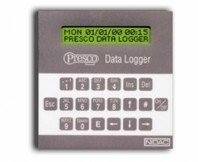 Programming multiple Presco™ decoders directly from the Data Logger is now achievable by simply entering the user codes and selecting single or multiple door locations.